WHEREAS we have carefully reviewed the membership of the Committee as released by the Conference Secretariat and wish to register our strong objection to the way and manner the secretariat composed the said committees. Whereas before the composition of the Committees, the leadership of the Conference circulated papers wherein delegates were asked to indicate in order of preference the Committees they wish to serve in. We are therefore alarmed that the Conference Secretariat arbitrarily and in total disregard to the choice and preferences of most delegates and in particular civil society delegates drafted them to Committees where they do not have expertise and will not be relevant. We believe that if the Committees of first, second and third choices are not available, the honourable thing to do is to inform the Delegates and give the option of choosing a fresh Committee. We note that majority of the members of the CSOs did not get placed in any of their preferred committee and we feel this is deliberate and an attempt to exclude the civil society delegation from contributing across the board to the important issues up for discussion in the various committees. We argue that the leadership of the conference erred by not getting back to the delegates in relation to their preferred committees choices before placing [and in some cases lumping] them into committees they had not indicated any interest in. And furthermore, we argue that even if the committee lists are exhausted for particular committees and placement becomes difficult, the best and honourable thing to do is to collapse those Committees without membership completely or merge them with some other Committees rather than allocating delegates into the said committees by force or without consultation. We were also shocked that without discussions and validation of the list by delegates in plenary; the secretariat had caused to be published the full list of committees, an attempt to force a faith accompli on the delegates. We hereby demand that the list should be completely reviewed in line with the national outlook of the conference. We wish to place on record that this conference is a National Conference of Nigeria people from all walks of life, and that it is neither a conference of ethnic nationalities nor a conference of regions or states. Furthermore we totally reject the list of committees’ leaders that have been released. 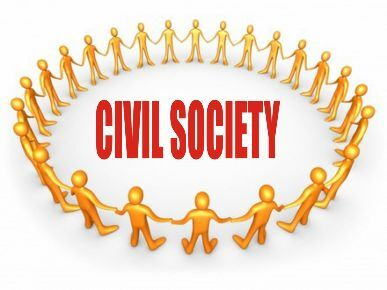 We find it very disturbing and unacceptable that civil society is not represented at all on the committee leadership, including even on the committee on labour and civil society; nor on the committees on social sector or Environment where civil society competence is not in doubt. Furthermore, we find it equally untenable that civil society is not represented on the committees on political parties and electoral process; politics and forms of government; National Security; Devolution of powers among others, even though civil society delegates with requisite competence and years of experience on these and related issues had indicated interest in serving on these committees. We also call on all the leadership to henceforth conduct the activities of the conference in an open, transparent, fair and equitable manner. 4. Stephen Aluko – Devolution of powers.